Thank you for your patience as we are reshaping this webpage and redesigning our database. 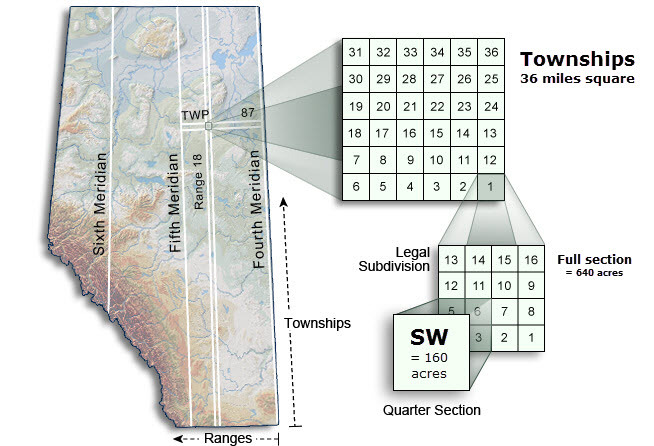 The Alberta Homestead Index can be searched using any single or combination of fields below. Begin by typing a Surname or a combination of letters or numbers in the appropriate search box. Surname or Given name searches can be filtered using the drop-down menu terms: Contains, Exact match, Starts with or Ends with. Then click Search. This database is character sensitive, not case sensitive. It requires no wild cards or truncation for searching. There are no images in this database. Use the grey PRINT button below versus the browser print option for a cleaner printout. W_of the—West of the meridian. In Alberta, there are three meridians: 4th, 5th and 6th. View the map for placement. The Alberta Homestead Database was compiled by AGS volunteers transcribing the Applications for Alberta Land Patents, 1885‒1897, Alberta Homestead Records, 1870‒1930 and Alberta Homestead records, post-1930. Enter your search criteria below, then click the search button. Surname or Given name searches can be filtered using the drop-down menu terms: Contains, Exact match, Starts with or Ends with.